Love him or loathe him, no one can deny that Sir Russell Coutts is trying to shake up the 2017 America’s Cup. Almost unanimously revered as the greatest America’s Cup helmsman, the five-time winner's clearly-stated pursuit to drag the event into the mainstream has alienated traditionalists, who claim he is destroying the legacy of sport’s oldest trophy. Here we present 7 ways the America's Cup is going mainstream 1: Foiling boats grab public's attention The 2013 America's Cup in San Francisco captured the public’s attention partly because Oracle Team USA’s come-from-behind victory was a compelling human story, but also because, well, ‘how in heaven’s name can those boats fly?’ The gravity-defying spectacle of a hydro-foiling boat is enough to turn the head of even the most luddite landlubber. Love him or loathe him, no one can deny that Sir Russell Coutts is trying to shake up the 2017 America’s Cup. Almost unanimously revered as the greatest America’s Cup helmsman, the five-time winner's clearly-stated pursuit to drag the event into the mainstream has alienated traditionalists, who claim he is destroying the legacy of sport’s oldest trophy. The 2013 America's Cup in San Francisco captured the public’s attention partly because Oracle Team USA’s come-from-behind victory was a compelling human story, but also because, well, ‘how in heaven’s name can those boats fly?’ The gravity-defying spectacle of a hydro-foiling boat is enough to turn the head of even the most luddite landlubber. It was hoped that introducing smaller, cheaper boats would lead to more teams making their bid for the America's Cup, bringing this race to the mainstream. In 2010, two billionaires - Larry Ellison and Ernesto Bertarelli - battled it out in giant multihulls, the likes of which could only have been afforded by the very wealthiest individuals on the planet. In 2013, the smaller but still spectacular AC72 attracted four teams to San Francisco. Great boats, but too expensive, and not enough teams. The AC62 boat was envisaged as a smaller alternative for Bermuda 2017. This drew five credible teams to the contest, six if you count a French challenge struggling for funding. The proposals were better, but still not good enough, so the America's cup recently switched to an AC48 with aims of attracting even more challengers. Having invested a large fortune in design of the now extinct AC62, Luna Rossa pulled out in a huff, but has been replaced by a fledgling Japanese challenge. Many critical elements of the new AC48 are locked down in a one-design rule. Traditionalists argue this makes a mockery of the Cup as a design contest. However, other teams like Ben Ainslie Racing say there is still plenty of design challenge to play with, plus the one-design element will mean lower development costs. It was hoped that introducing smaller, cheaper boats would lead to more teams making their bid for the America's Cup, bringing this race to the mainstream. In 2010, two billionaires - Larry Ellison and Ernesto Bertarelli - battled it out in giant multihulls, the likes of which could only have been afforded by the very wealthiest individuals on the planet. In 2013, the smaller but still spectacular AC72 attracted four teams to San Francisco. Great boats, but too expensive, and not enough teams. The AC62 boat was envisaged as a smaller alternative for Bermuda 2017. This drew five credible teams to the contest, six if you count a French challenge struggling for funding. The proposals were better, but still not good enough, so the America's cup recently switched to an AC48 with aims of attracting even more challengers. Having invested a large fortune in design of the now extinct AC62, Luna Rossa pulled out in a huff, but has been replaced by a fledgling Japanese challenge. Many critical elements of the new AC48 are locked down in a one-design rule. Traditionalists argue this makes a mockery of the Cup as a design contest. 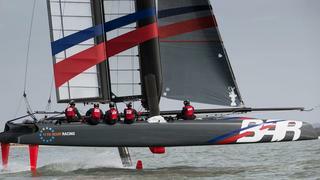 However, other teams like Ben Ainslie Racing say there is still plenty of design challenge to play with, plus the one-design element will mean lower development costs. Traditionalists insist that a big event demands big boats but Russell Coutts disagrees. His priority in giving the America’s Cup mainstream appeal is to deliver a great display to spectators, both live and watching remotely online or on TV. 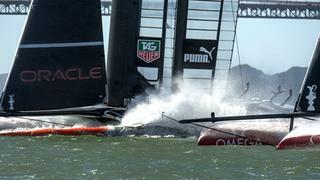 “The foiling AC45s look every bit as spectacular on TV as the AC72s,” he said recently. He believes the AC48s are the best compromise of scale and spectacle. Some spectators at San Francisco 2013 thought the AC45s in the Red Bull Youth Series were more fun to watch than the foiling AC72s, because the action was closer to the shore. 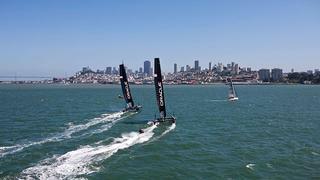 The better the event is for spectator enjoyment, the faster the America’s Cup is on track to becoming mainstream. Traditionalists insist that a big event demands big boats but Russell Coutts disagrees. His priority in giving the America’s Cup mainstream appeal is to deliver a great display to spectators, both live and watching remotely online or on TV. “The foiling AC45s look every bit as spectacular on TV as the AC72s,” he said recently. He believes the AC48s are the best compromise of scale and spectacle. Some spectators at San Francisco 2013 thought the AC45s in the Red Bull Youth Series were more fun to watch than the foiling AC72s, because the action was closer to the shore. The better the event is for spectator enjoyment, the faster the America’s Cup is on track to becoming mainstream. The switch from open rule to tight one-design in the Volvo Ocean Race has produced much closer racing; Formula One is at its best when there are multiple teams that have a shout of winning a grand prix. A tighter design rule in the AC48 should lead to closer racing, and give the America's Cup challengers a better shot at beating the Defender. It’s not often that a Defender willingly yields advantage to the Challengers, so Russell Coutts should be given credit for opening up the field. This decision has made the 2017 America's Cup, in theory, “anyone’s game”, where viewers can root for the underdog as well as the champion – that’s as mainstream as it gets. The switch from open rule to tight one-design in the Volvo Ocean Race has produced much closer racing; Formula One is at its best when there are multiple teams that have a shout of winning a grand prix. A tighter design rule in the AC48 should lead to closer racing, and give the America's Cup challengers a better shot at beating the Defender. It’s not often that a Defender willingly yields advantage to the Challengers, so Russell Coutts should be given credit for opening up the field. This decision has made the 2017 America's Cup, in theory, “anyone’s game”, where viewers can root for the underdog as well as the champion – that’s as mainstream as it gets. While it’s hard to argue that staging the 2017 event on a remote island in the Atlantic Ocean is opening the America's Cup to the mainstream, those who do make the trip to Bermuda will be rewarded with a great spectator experience, says Russell Coutts. Not least that he is doing away with the barbed-wire, ’no intruders’ attitude to running closed team bases. Instead, Coutts says spectators will get Formula One-style ‘pit lane’ access to all the team bases in Bermuda. Just one of the many reasons why Bermuda was chosen to host the America’s Cup. While it’s hard to argue that staging the 2017 event on a remote island in the Atlantic Ocean is opening the America's Cup to the mainstream, those who do make the trip to Bermuda will be rewarded with a great spectator experience, says Russell Coutts. Not least that he is doing away with the barbed-wire, ’no intruders’ attitude to running closed team bases. Instead, Coutts says spectators will get Formula One-style ‘pit lane’ access to all the team bases in Bermuda. 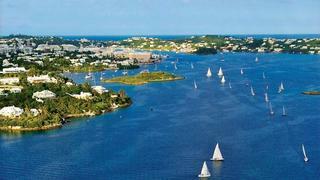 Just one of the many reasons why Bermuda was chosen to host the America’s Cup. 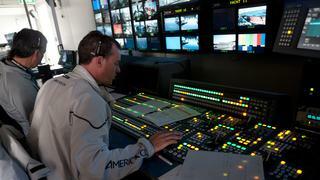 For the 2013 America's Cup, Emmy-award winning Stan Honey was given the opportunity to develop real-time graphics that brought live TV coverage of sailing to life in a way that we’d never experienced before. Combined with some well-pitched commentary that worked for both sailing aficionados and complete newbies, Honey’s LiveLine technology helped deliver compelling, real-time edutainment to TV and YouTube viewers around the world. More proof that the 2017 America's Cup is going mainstream is that the coverage will be on a TV near you. Instead of holding out for TV rights that no major broadcaster ever wanted to buy, the America’s Cup has become more realistic about its standing in the sports world and is tying up deals with major broadcasters as a result. The sky-high profile of Sir Ben Ainslie has helped secure BT Sport’s live coverage of all America’s Cup racing in the UK and Ireland through to the finals in 2017. 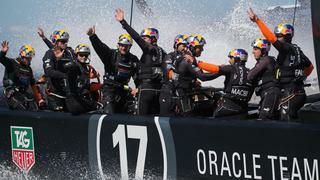 The BBC will carry highlights programming from the America’s Cup after acquiring free-to-air broadcast rights for the event. For the 2013 America's Cup, Emmy-award winning Stan Honey was given the opportunity to develop real-time graphics that brought live TV coverage of sailing to life in a way that we’d never experienced before. Combined with some well-pitched commentary that worked for both sailing aficionados and complete newbies, Honey’s LiveLine technology helped deliver compelling, real-time edutainment to TV and YouTube viewers around the world. More proof that the 2017 America's Cup is going mainstream is that the coverage will be on a TV near you. Instead of holding out for TV rights that no major broadcaster ever wanted to buy, the America’s Cup has become more realistic about its standing in the sports world and is tying up deals with major broadcasters as a result. The sky-high profile of Sir Ben Ainslie has helped secure BT Sport’s live coverage of all America’s Cup racing in the UK and Ireland through to the finals in 2017. The BBC will carry highlights programming from the America’s Cup after acquiring free-to-air broadcast rights for the event. “Yeah, yeah, just sail the boat Jimmy.” Who can forget Ben Ainslie’s bossing of his own skipper, Jimmy Spithill, during one of many intriguing and entertaining verbal interchanges during the 2013 Cup? It was the first time we’d been given a real insight into what the sailors are saying and thinking while in the heat of battle. The on-board audio was one of the most important but under-rated innovations of the last Cup. Advances in technology will result in more behind-the-scenes glimpses for the 2017 America's Cup. We already know that sailors will be wired up for heart rate and other vital statistics while they’re racing. And just like Formula One lives and breathes on the live data streaming off the race cars and on to our TV screens, the aim is to get a genuine, real-time insight into what the sailors are experiencing as they wrestle their foiling beasts around the race track. One day we might even know what the sailors are thinking! “Yeah, yeah, just sail the boat Jimmy.” Who can forget Ben Ainslie’s bossing of his own skipper, Jimmy Spithill, during one of many intriguing and entertaining verbal interchanges during the 2013 Cup? It was the first time we’d been given a real insight into what the sailors are saying and thinking while in the heat of battle. The on-board audio was one of the most important but under-rated innovations of the last Cup. Advances in technology will result in more behind-the-scenes glimpses for the 2017 America's Cup. We already know that sailors will be wired up for heart rate and other vital statistics while they’re racing. And just like Formula One lives and breathes on the live data streaming off the race cars and on to our TV screens, the aim is to get a genuine, real-time insight into what the sailors are experiencing as they wrestle their foiling beasts around the race track. One day we might even know what the sailors are thinking!